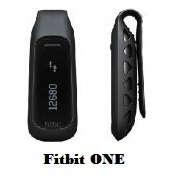 Compare Fitbit and Withings Activity Trackers: ZIP, FLEX, ONE, CHARGE HR, CHARGE 2, SURGE or PULSE O2? If you have decided to be serious about your health, one way to make sure that you are indeed on the right track with regard to your exercising, eating and sleeping habits is equipping yourself with an activity tracking device also called a pedometer. Nowadays, pedometers allow you to track distances walked (or run) both in length and steps and report the amount of burnt calories. Some models can even count the number of floors climbed and track you sleeping activity. But best of all, some of these new gadgets support the Bluetooth wireless technology and can transmit the collected data automatically to a web based personal dashboard using smartphones, smart tablets or your computer. Various available applications can then be used to analyze the data, evaluate performance and set various exercising, eating and sleeping goals. Fitbit, one of the market leaders as well as leading innovators in the health & fitness wireless equipment sector, already produced a number of activity trackers in the past and has ever since been improving steadily its products to equip them with all kinds of new and useful features. Presently, it offers a number of activity trackers responding to different needs, the most popular being the ZIP, the FLEX, the ONE and the CHARGE HR activity trackers which will be compared in this article. Note: More recently, Fitbit has also introduced the Fitbit Charge 2 and Fitbit Surge activity trackers. These trackers, being more recent, have not yet reached the popularity levels of the other Fitbit activity trackers listed above, but they are definitely worth considering as they bring some new features. They will be presented in more detail at the end of this article. Fitbit is facing strong competition from Withings, another giant in the health & fitness wireless equipment sector, which developed the PULSE O2 activity tracker which also comes loaded with features. The best thing about all these activity trackers is their ease of use. To get going, all you need to do is create a free account on Fitbit.com or Withings.com and register your device. The activated tracker will then communicate using the Bluetooth communication protocol with your smartphone or tablet which in turn will transmit all your stats to your Fitbit.com or Withings.com web dashboard, and you can access this data anytime and from anywhere either directly on your internet dashboard or using the free apps provided for the different smart devices that are supported. Indeed, these activity trackers come with a slew of free online tools and apps that allow you to set goals on your personal dashboard and follow your progress through informative charts and graphs. Otherwise, continue reading below for a table of point-by-point differences between the selected activity trackers (Withings PULSE O2, Fitbitb ZIP, FLEX, ONE and CHARGE HR) that may help you decide which would be best for your own needs. 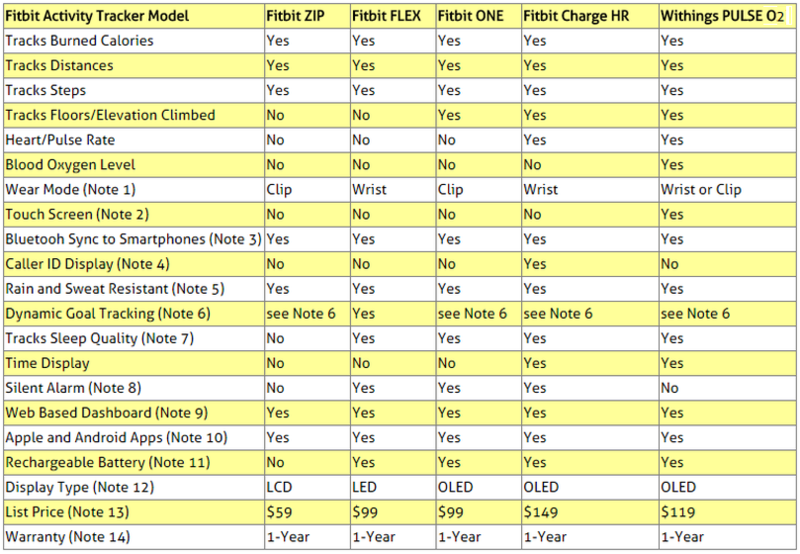 The following table provides a detailed point-by-point comparison of the selected Fitbit and Withings Activity Trackers. Please read the explanations to associated notes following the table for a better understanding of the features offered by the five activity trackers. Note 1: Fitbit ZIP and ONE can be clipped to a belt or a bra, or kept in your pocket, while FLEX and CHARGE HR are worn around the wrist like a watch. ONE also comes with a wrist band for wearing the device while in bed for sleep tracking. Withings PULSE O2 can be kept it in your pocket, clipped to your belt or bra, or inserted inside a wrist band that is also provided. With PULSE O2, the wrist band is not just for wearing in bed for sleep tracking, but it can be used for normal daytime activities as well. Note 2: Fitbit ZIP, ONE and CHARGE HR as well as Withings PULSE O2 all have screens, but only PULSE O2 has a touch screen which allows you also to view your past historical readings. Wıth Fıtbıt CHARGE HR, you tap the screen to scroll through the data, but it is not a "touch screen" per se. FLEX has no screen at all: there are 5 LED lights, and when you tap, they let you know how you are doing with respect to your set goal (for instance, if you had set your goal at 1000 steps and you take 800 steps, 4 out of the 5 LED's will light up). Note 3: All five activity trackers (Fitbit ZIP, FLEX, ONE, CHARGE SR and PULSE O2) will sync automatically using the Bluetooth wireless protocol with both iOS (Apple) and Android smartphones and smart tablets. 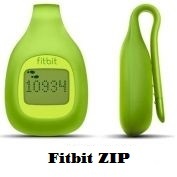 With the purchase of any of the four activity trackers ZIP, FLEX, ONE and CHARGE HR, Fitbit provides a Bluetooth wireless adapter (or dongle) that can be connected to the USB port of any PC or Mac computer. Once the adapter is in place, the activity tracker will also sync to the nearby computer and transmit all activity related data and stats. Note that for a good sync to occur, the activity tracker must not be more than 20 feet away from the USB wireless adapter. This feature is not available on PULSE O2 which can only sync to smartphones and tablets (no Mac or PC sync). Note 4: With Fitbit CHARGE HR, you can see smartphone call notifications right on your wrist when your phone is nearby. Note 5: Note well that these activity trackers are all water resistant, but not waterproof, meaning that they would be OK if it’s raining, but you should not take a bath with them on! Note 6: All five devices considered here allow setting up goals and provide app based or web dashboard based graphs to show how you're stacking up against them. 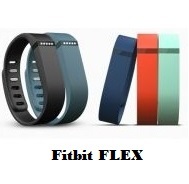 But Fitbit Flex also uses the built-in LED lights to show you how you are performing against your set goals. Each LED light on the device represents 20% of the set goal. All you have to do is select which of the three stats (calories, steps, or distance) you want tracked by the device and the LEDs will light up according to your performance with respect to the chosen parameter. This will provide you the motivation to keep moving faster or for a longer distance if required. Note 7: You can sleep with the Fitbit FLEX and Fitbit CHARGE HR around your wrist and also with Fitbit ONE stuck into a wrist band that is also provided. With any of these three Fitbit activity trackers, once your sleep related data syncs with your computer or smart device, graphs on your Fitbit web dashboard will show the amount of time that you slept and the number of times that you woke up. A sleep quality score is then awarded based on the collected data. This information can be used to help you correct bad sleeping habits. You can sleep with Fitbit PULSE O2 around your wrist and launch the sleep cycle analysis. The next morning you will have to opportunity to precisely assess your sleep quality thanks to the in-app graph. You will be able to access information on sleep quality, sleep duration, and sleep interruptions. Note that PULSE O2 has automatic “Getting out of bed” recognition! 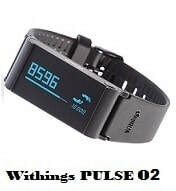 Using the movements as well as the temperature that are tracked, it can tell that you got out of bed. This prevents tracking errors leading to abnormally long nights and unusually short days just because you forgot to switch the device from sleep mode to activity tracking mode. 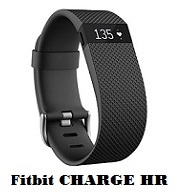 Note 8: The silent alarm generated by Fitbit FLEX, ONE and CHARGE HR is a vibrating alarm. Note 9: Fitbit trackers (ZIP, FLEX, ONE and CHARGE HR) and the Withings PULSE O2 tracker are all associated with web based dashboards (respectively at Fitbit.com and Withings.com). Note 10: All five activity trackers considered here come with free mobile apps that bring all that digestible data to your fingertips for evaluation and goal setting. Note 11: ZIP has a replaceable battery that lasts from 4 to 6 months. The other three Fitbit activity trackers (FLEX , ONE and CHARGE HR) and the Withings tracker PULSE O2 have all rechargeable batteries. A charger is included in the purchase. Note 12: OLEDs are surface lights while LEDs are point light sources. Note 13: The prices shown are list prices in effect at the time this article was written and may have changed. For exact price information, please click the product image links in the Amazon section below. Note also that the Amazon price often includes a good discount on the list price. If a discount exists, both the list price and the Amazon price will be shown when you click the product image links in the Amazon section below. Note 14: Fitbit also has a 45 day satisfaction guaranteed return policy. So which activity tracker is the right one for you? 1If you want a device that will track your sleep, that is equipped with a vibrating silent alarm, and that has rechargeable batteries, then you should get either a Fitbit FLEX, ONE or CHARGE HR. ZIP does not support these features. If having a vibrating alarm is not essential for you, you should also consider Withings PULSE O2 which provides the sleep tracking feature, has a rechargeable battery, but no vibrating alarm. 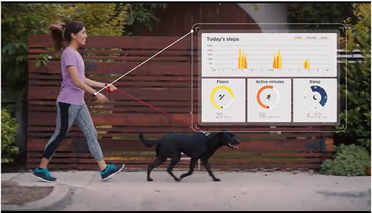 2If you are interested in dynamic goal tracking to provide you with the motivation to keep moving faster or longer to reach your set goals, then what you need is the Fitbit FLEX. FLEX provides the dynamic goal tracking feature by using its built-in LED lights to show you how you are performing against your set goals. 3If you are interested in collecting pulse and heart rate data, you should consider either the Fitbit CHARGE HR or Withings PULSE O2. But if you are also interested in blood oxygen level data, you should consider the Withings PULSE O2, which is the only activity tracker providing these feature. 4If you want to be able to sync your activity tracker to your computer (Mac or PC), you should get a Fitbit tracker (ZIP, FLEX, ONE or CHARGE HR) as PULSE O2 does not support this feature and can only be synced to smartphones and tablets. 5If you want your smartphone caller ID displayed on your activity tracker, then you should get the Fitbit CHARGE HR which is the only one of the five with this feature. 6Finally, when you compare the five activity trackers PULSE O2, ZIP, FLEX, CHARGE HR and ONE, you will notice that there are differences in style. Therefore, your personal taste should definitely come also into play before making up your mind. Please click the product images below for exact price information or to purchase. Note: If some of the prices are not shown on the Amazon link images below, they will be provided once you click the Amazon image link. It has a larger screen and is more stylish. It supports multi-sport modes to track various workouts like running, biking and weights, and provides related real-time workout stats on screen. Its new SmartTrack feature automatically recognizes select activities and records them in the exercises section of the Fitbit app. It provides you with friendly reminders to move that encourage you to reach an hourly goal of 250 steps. It allows you to see not just caller-ids, but call, text and calendar alerts when your phone is nearby. It provides you with personalized guided breathing sessions based on your heart rate. It does not have a built-in GPS, but it can be connected with the GPS on your phone to see real-time stats like pace and distance on display, and record a map of your route. It produces a Cardio Fitness Score of your fitness level compared to others in your age bracket. It allows you to find a look that fits your style with customizable clock faces and interchangeable bands. Those who would also like to have a GPS in their activity tracker might want to consider the Fitbit SURGE.